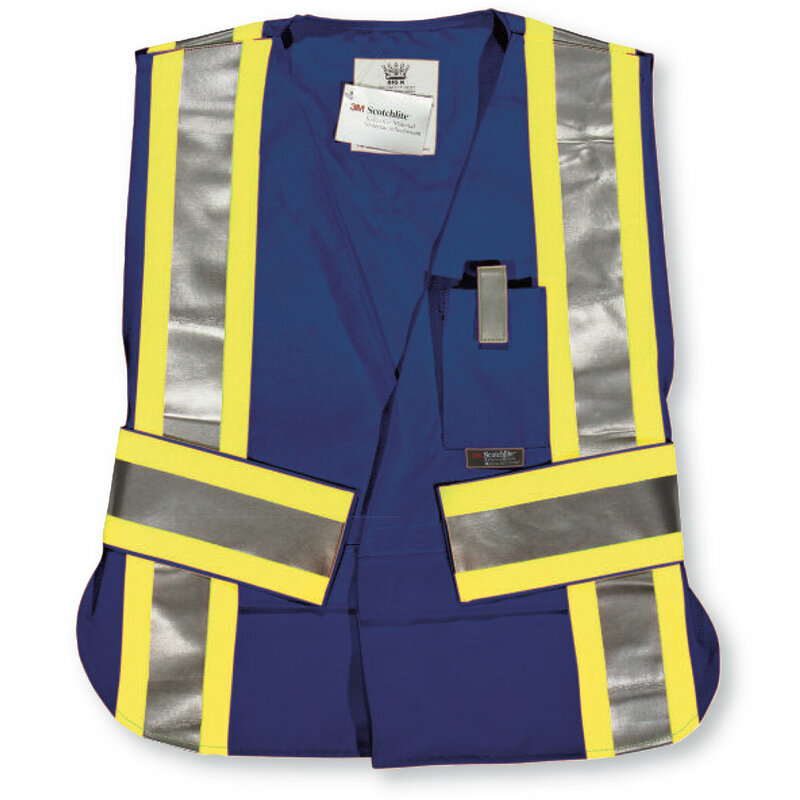 Navy Blue Indura Ultrasoft® safety vest has 2 bottom pockets and radio pocket. 4” 3m Reflective tape. 4” 3m Reflective tape. Meets CAN/CGSB 155.20 (ASTM F1506) standard for flame resistance. Arc rating of 12.4 (ATPV) according to CSA Z46.2.